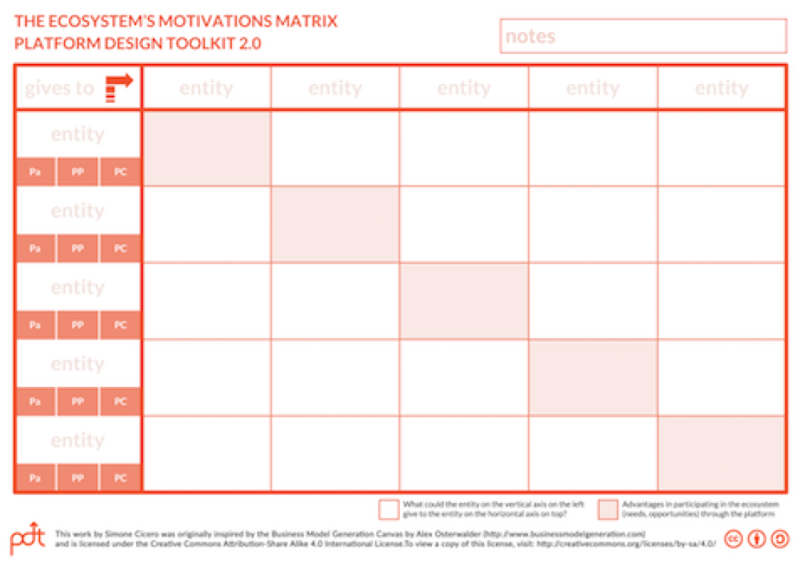 An invitation for service designers to attend a Platform Design Toolkit Masterclass, 20-21 March in Amsterdam. In late March, the creators of the Platform Design Toolkit are offering a masterclass in Platform Design. Participants will learn how to apply the full set of tools contained in the PDT, and apply them to strategic challenges, projects, and innovation opportunities. 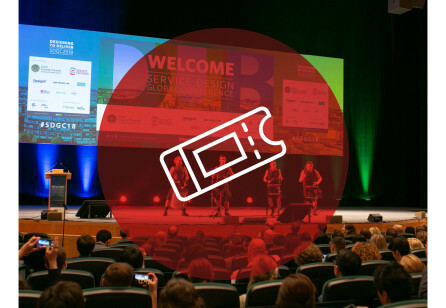 A special invitation is being extended to the service design community, to increase the awareness of platform design, and assist them in designing for the ecosystem-based platforms of tomorrow. Today, platforms revolutionize the world: operating as hubs, platforms organize interactions, skills & resources outside the traditional organization boundaries and shape markets. Platforms leverage ecosystems to create unprecedented outcomes: several studies showed that network orchestrators (platforms) are more resilient and provide better results, revenues and valuation. After the transformation of key markets such as transport and tourism, we now realize that the platform model offers incredible possibilities in many new contexts: smaller markets, niches, local markets, organizational strategies. Everyone wants to use platform strategies today: connecting users and entities in peer-to-peer is the best way to higher growth , outstanding results, terrific engagement. Building a platform strategy means getting more results with less investments: leveraging communities and ecosystem to create value for the brand and the organization. 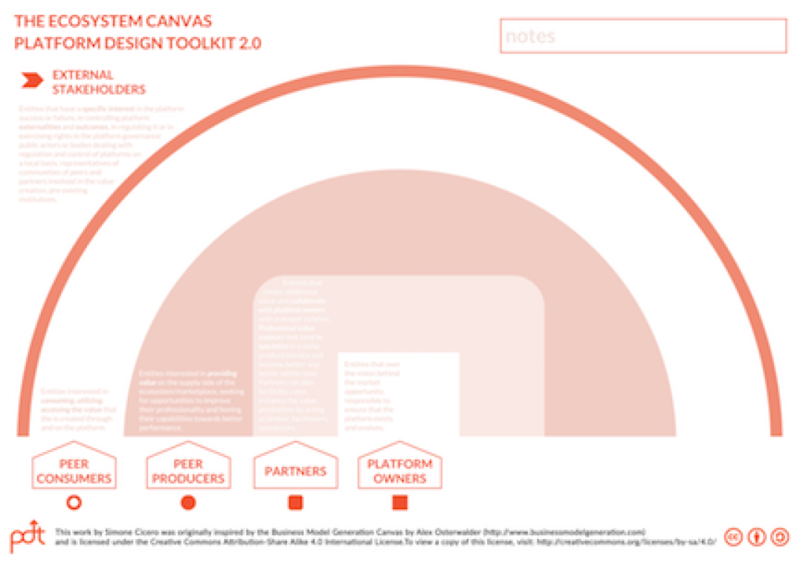 Born in 2013, the Platform Design Toolkit has already been adopted worldwide by successful startups, corporates and non profit organizations. European and American business schools used the PDT in their courses. Countless designers and entrepreneurs from around the world have used it to shape their projects and ventures. The Platform Design Masterclass is a two-day training format designed to help adopters learn how to use the Platform Design Toolkit, directly from the project founders and lead facilitators. Participants can join the masterclass as single or in a team of two, three, four or more. During the Masterclass participants will learn by doing, using the full framework to design, understand or describe their own strategies, explore interesting and unexploited market opportunities, and imagine how to transform their current companies. 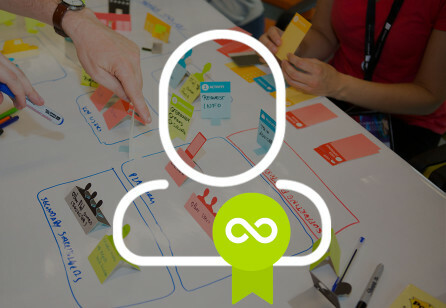 Hundreds of participants from all over the world have joined the Platform Design Masterclass already, working on the design of new products or services , envision new marketplace startups, creating new innovation strategies for corporates or finding new ways to rethink the potential impact of social enterprises and non-profits. The real power of the Platform Design Masterclass is to help teams and participants work on their own projects coupling a learning experience with a powerful strategic acceleration. 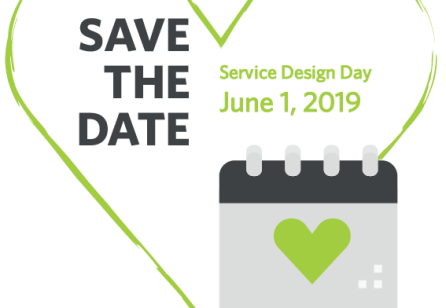 We would like to invite all organisations, service designers professionals, students and enthusiasts to join us in celebration of Service Design Day. Do good - give back! 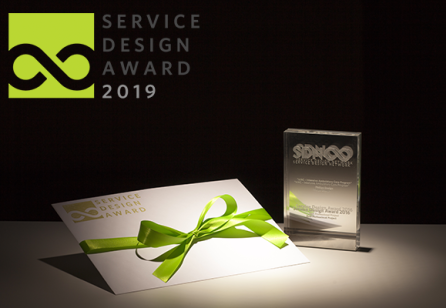 We are delighted to open a call for the Service Design Award 2019, the premier international award for service design. The Award recognises work of an exceptional standard in the field of service design from the private and public sector, as well as academia. Looking for gaining high level knowledge and skills about service design in a professional and state-of-the-art approach? Then check out the upcoming trainings and events by our SDN Accredited Service Design Trainers taking place all around the world and book your seat!